Travelling from the last ukulele frontier, Alaska, Ukulele Russ will headline SPRUKE Brisbane’s Ukulele Festival 2017. Russ will join previously announced headliner Kyas Ryo from Japan. Ukulele Russ and Kyas will kick off the spring ukulele festival at the opening night concert on Friday 29 September. These international artists will head up a fabulous line-up of home grown uke-stars still to be announced. Although he hails from the edge of civilization in interior Alaska, Russ is a favourite with Aussie festival audiences. Russ played at MUK (Melbourne Ukulele Festival) in 2014 and 2015, and headlined at the 2016 Sunshine Coast festival. Known for his off-the-cuff antics and fast hands, Ukulele Russ has carved out his niche and proven to the masses that the ukulele is stringed testosterone ….in the hands of the right man. If you haven’t heard by now, SPRUKE 2017 is a three-day event, Friday 29 September — Sunday 1 October. 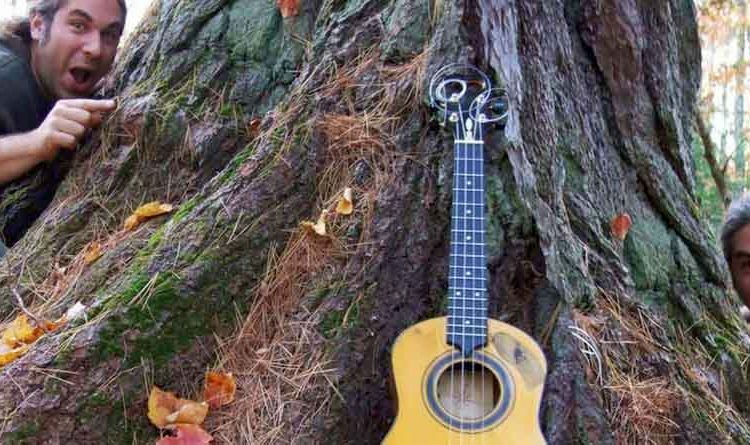 Ukulele enthusiasts and the uke-curious will come together to make music at jams, workshops, concerts, and open mics. Festival-goers can relax and indulge their passion in all things ukulele. Festival-goers will enjoy the world class facilities at TAFE Queensland Brisbane’s South Bank campus, in the heart of South Bank, Brisbane’s premier lifestyle and cultural precinct. A highlight of the festival is an extensive program of workshops which will feature headliners Ukulele Russ and Kyas Ryo teaching masterclasses in their individual playing styles. Stay tuned for the full line-up, with all dates and ticketing info coming soon!